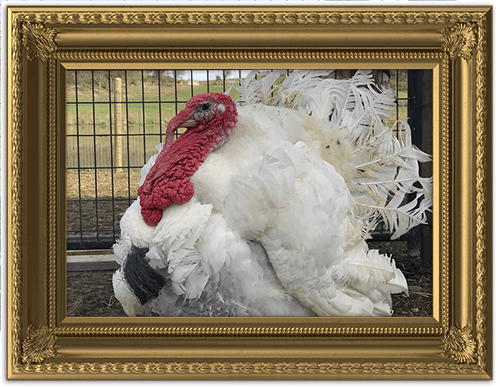 Robin came to Skylands together with another turkey named Andy around July of 2015. They were supposed to be Thanksgiving birds. They are called broad-breasted white turkeys. Someone just dropped them off mysteriously and didn’t wait to give an account of their story but we know they’re safe and sound now. They have such big personalities. They like to show off for the girl turkeys and look at themselves in the mirror.